We love eating out in our region during the winter months and L’Ambrosia, near Carcassonne, has been one of our favourites for years. Run by husband & wife team Valerie & Sebastien Aliprandi, their fantastic food & warm hospitality (and great regional wine list too) has won them many accolades and a great following. 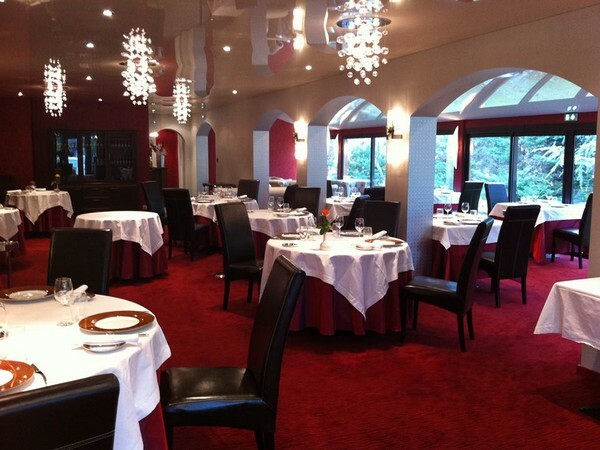 The restaurant is perfectly located when visiting nearby Chateau de Caux for a wine tasting (which we can arrange for our guests) as well as La Cite in Carcassonne… and being just 10 mins from Carcassonne airport, a perfect first or final treat on French soil for guests using our nearest international airport. To enter the competition, simple answer the following question and email your answer & full name by April 30th. All correct answers will be entered into a draw to be made on May 1st and the lucky winner connected by email & announced in the May edition of our E-Newsletter. Bon Chance !! Question – in greek mythology, what was Ambrosia?